This high purity fatty acid methyl ester is ideal as a standard and for biological studies. 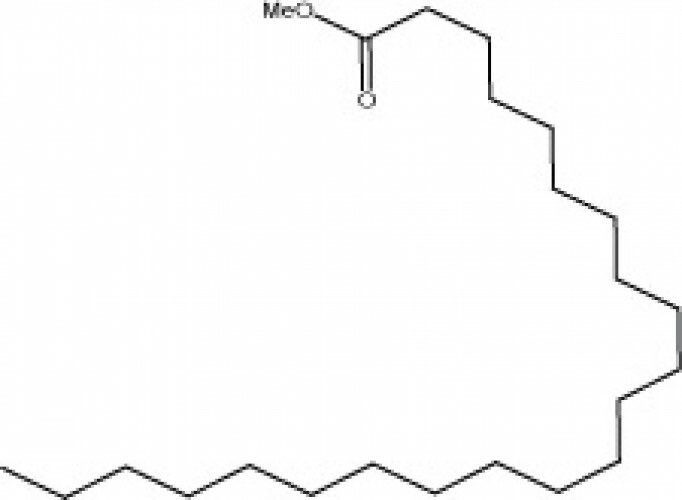 During the metabolism of docosanoic acid it is converted to the omega-hydroxy docosanoic acid and then to the dicarboxylic docosanedioc acid.1 Long chain fatty acids have been found to inhibit the double-stranded DNA binding activity of p53 DNA binding domain, with docosanoic acid showing the highest inhibitory activity, suggesting that fatty acids in the cell membrane might regulate the activity of p53 for cell division, cell-cycle checkpoint, and tumor suppression.2 X-linked adrenoleukodystrophy (X-ALD) is an inherited disorder of peroxisomal metabolism and is characterized by deficient - oxidation of saturated very long chain fatty acids (VLCFA) resulting in an accumulation of VLCFA and a subsequent decrease in shorter fatty acids such as docosanoic acid. 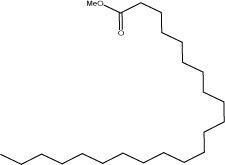 In plants VLCFA are converted to long chain hydrocarbons which are used to make waxes that are essential to their survival.3 Long chain fatty acids acylated to sphingolipids are critical in many biological functions4 and substantial amounts are found to be amide-linked to the long-chain sphingoid base sphinganine, forming a ceramide, which constitutes the lipid backbone of sphingomyelin and other sphingolipids. Long chain fatty acids can often be found in esterified linkages with cholesterol, gangliosides, galactocerebrosides, sphingomyelin, and phosphatidylcholine.